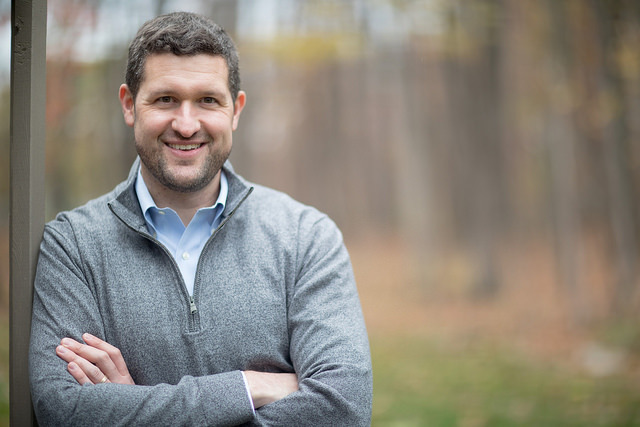 Born and raised in Kingston, NY-19 congressional candidate and Iraq War Veteran Pat Ryan told the Mountain Eagle in a recent phone conversation that his mom and grandfather taught him at a young age that, "We all have this responsibility as citizens to participate and give back." Mr. Ryan, who is a graduate of West Point and who served two combat deployments in Iraq, is one of seven Democratic candidates vying for the party's nomination to challenge incumbent Republican Congressman John Faso in this fall's general election. Wanting to fix the problem he saw first hand in combat, Mr. Ryan started a small business after leaving the military to bring better equipment - namely, body armor - to troops overseas. His small business soon grew to over 150 employees and during this time he earned his Master's in Foreign Policy from Georgetown University. Explaining that, "I saw how difficult and terrible war is," Mr. Ryan stressed that it should be a last resort that comes after diplomacy and trade craft. Adding that he had to lead young men and women in combat that had to transcend their differences, Mr. Ryan believes that a similar approach is needed in governing. The fifth generation Ulster County native believes he differs from his six opponents in that he can beat Mr. Faso due to his ties to the district and his record of service. "People want folks in Congress who have actually shown the willingness to put something greater than themselves first," said Mr. Ryan. Pointing to a poll published in April from the Democratic aligned Public Policy Polling firm that shows him narrowly beating his potential general election rival, Mr. Ryan expressed confidence in his ability to win the primary after his team has knocked on over 40,000 doors across the district since he announced. One of Mr. Ryan's more focal positions has been his stance in support of gun control. Advocating for reinstating the federal assault weapons ban, stronger background checks, and closing the gun show loophole, the candidate stated that he thinks it is reprehensible and unacceptable that schools are starting to feel like a war zone. Knocking Mr. Faso for being in the pocket of the gun lobby, Mr. Ryan said that supporting stricter gun control measures requires "The moral courage to stand up and take this position." The candidate further knocked his potential opponent for not showing up in the district and expressed outrage that he wont hold a public forum. "He's about himself and he's about getting big donors taken care of," Mr. Ryan said. When asked to make his case to undecided voters in one sentence, Mr. Ryan simply said "We need a Congressman who you can trust to have our back on every issue." He then added after a brief pause that this community had his back when he was deployed overseas and that, "We need a candidate who can win against Faso." Democrats will choose their nominee on Tuesday, June 26th. Editor's Note: This is the first in a series of interviews with the seven candidates vying for the NY-19 Democratic nomination. All seven interviews will appear in the Friday, June 22nd print edition of the Mountain Eagle.